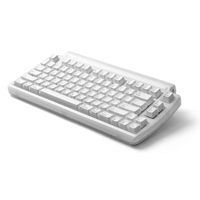 Based on Matias' award-winning Tactile Pro keyboard, the Mini Tactile Pro gives the user the amazing feel and 'clicky' feedback of Apple and IBM's high-quality keyboards of times past, in a perfect size for tight workspaces. 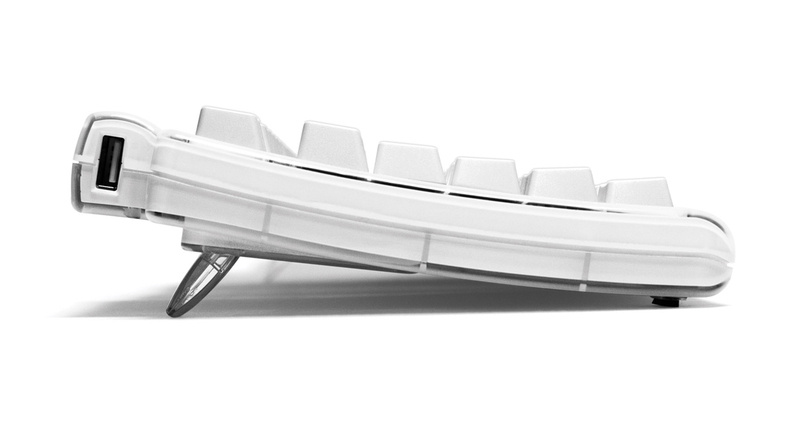 These high quality mechanical keyswitches provide a better 'feel' and audible feedback which can potentially result in increased typing speeds. The Mini Tactile Pro has been redesigned for compactness, comfort, travel durability, and better resistance to crumbs and dust. In addition, the keys are sculpted (not flat like many current Mac style keyboards) for better key accuracy and maintaining the hands on the home row. Included is a 3-port hi-speed USB 2.0 hub and special Anti-Ghosting circuitry, which enables you to type as fast as you can without the fear of dropped characters. The keycap legends are laser etched and will not wear off even for intense users. 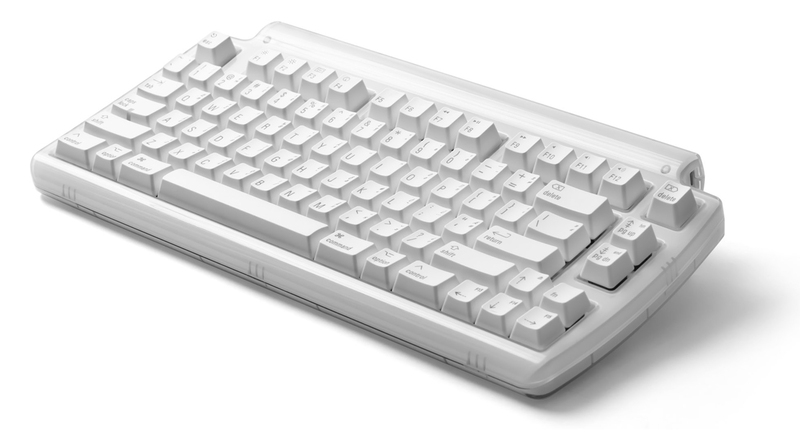 The Mini Tactile Pro is a wired keyboard, however, for ease of transport the cord detaches from the keyboard. 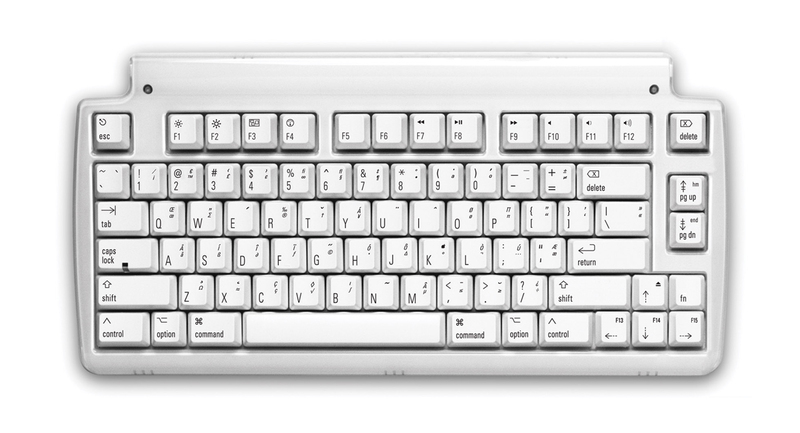 Designed for Mac users only, the Mini Tactile Pro has Mac friendly function keys, but does not include an embedded numeric keypad.